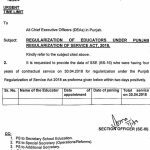 According to the letter of regularization of Punjab Govt Employees issued on 03-03-2013 the employees were regularized with effect from 27-02-2015 instead of their actual date of appointment. 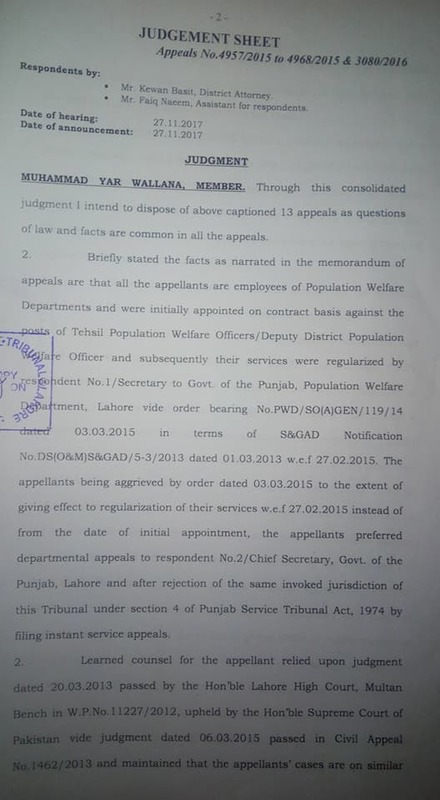 Now the court has given its decision to regularize these employees with effect from their initial date of appointment. 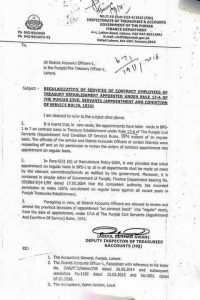 I got contract from bps 17 regular to bps 18 in 2004.again regularised in 2009 with order of pay protection.now retired and account office not including increments earned during contract in pay for pensiion purose. Pl guide what to do? This order also apply regularused from initial date. 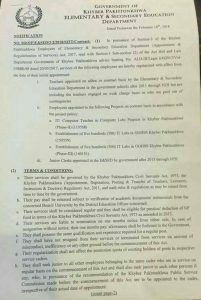 A friend of mine is serving in Education Deptt. 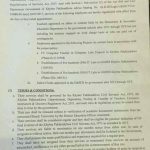 against the post of BS-16 on contract basis. 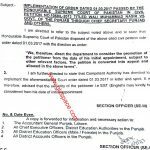 He applied through proper channel against a post of BS-17 in same deptt. where he was slected and posted in other institute. 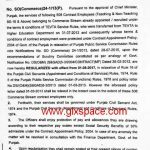 He was releived from the post of BS-16 but not joined the post of BS-17. Now he intend to rejoin his previous post BS-16. He has yet joining period of new post BS-17. Is there any rule under that he rejion his prrevious post? of otherwise. Did your friend releive or resign from contract post? 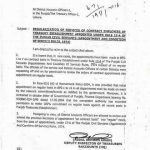 Any body from Secretariat Punjab , please confirm any employee get regularised from date of initial contract employment after this decision? Educators 2014 waly b is regularisation men aen gy ? what about those employees of Federal govt. 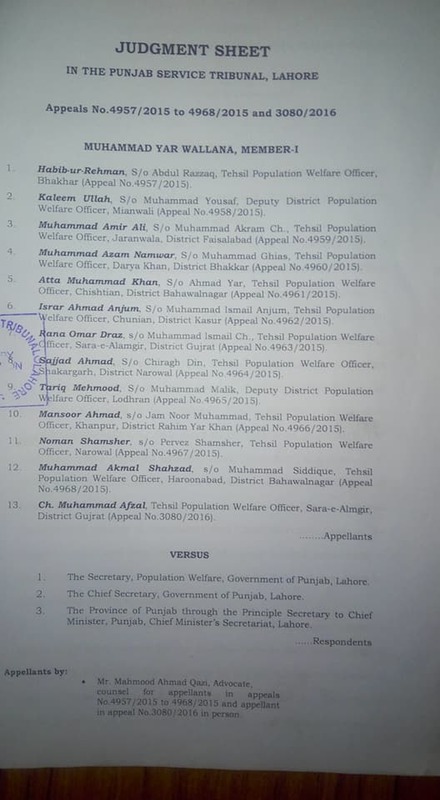 who were inducted in different depptts in 2005, 2006 and 2007 on contract basis and and later on were regularized in 2009,10 and 2011??? 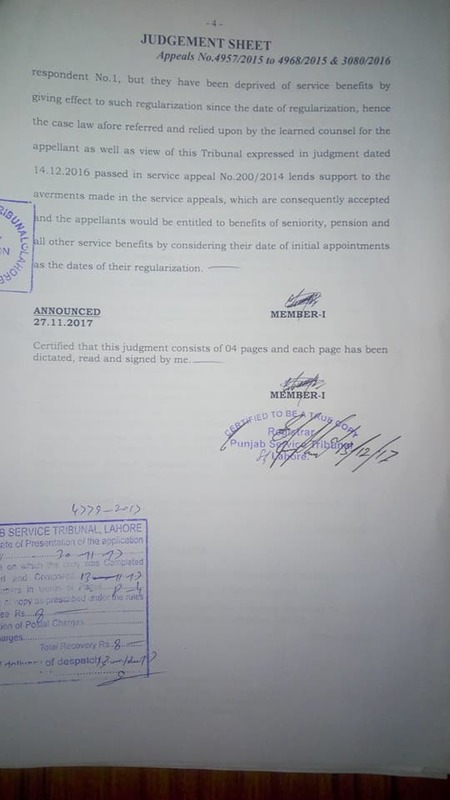 Can those employees refer this decision for their service count ,seniority and other benefits of regular service from their date of initial appointment??? Dear sir, I was apointed in 2004 and regular in 2009 is this effect on this? 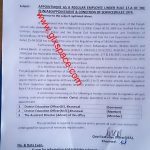 Agar to ap Punjab government mn appoint hoye hain to is decision k tehat apko application deni chahiye for regularisation with effect from Initial Appointment!